Some people are so in tune with my thoughts, despite the fact that we've never even met! For example, Cupcake Project knows that I love cupcakes, but she also know how much I love chocolate chip cookies. 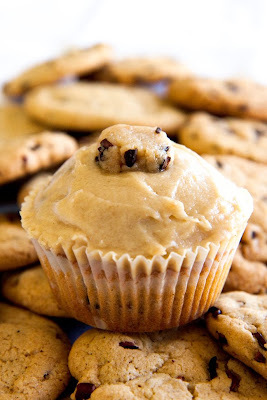 So she decided to combine my two loves to make Cookie Dough Cupcakes! 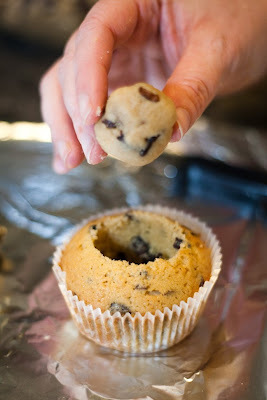 I think I want to try these out soon because I recently found out that my grandpa has never eaten cookie dough. Poor guy! This will get him hooked. OMG! 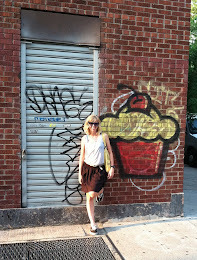 u guys read my mind- ive been planning to put a cookie inside my cupcakes. will try to use the eggless recipe. and yeah i love eating raw cookie dough too..hehe-im still alive anyway.thanks- god bless!